I had two different readings before and the fingerprints differ. If I upload the fingerprints, can someone confirm what my fingerprints are and what my life purpose is? I also have a whorl on my moon mounts, both left and right. I was told this means I am a spiritual teacher, but I am still battling to see this . I am a certified life coach, but not coaching. The discrepancy comes in the right hand the ring finger and little finger. Someone told me I have a peacock on both fingers. I've noticed that sometimes when uploading inkprints on here, the fingerprints become distorted. I don't know if it was scanned at low resolution, or if images get resized on uploading, but I cannot see the skin ridges on these prints. Are you able to upload close-up photos of the fingerprints? I am trying to take photos, but they are not clear. I Will try with a better camera. I also find that my prints are not clear. But I am not experienced. I have several and I cannot really see the fingerprints clearly. 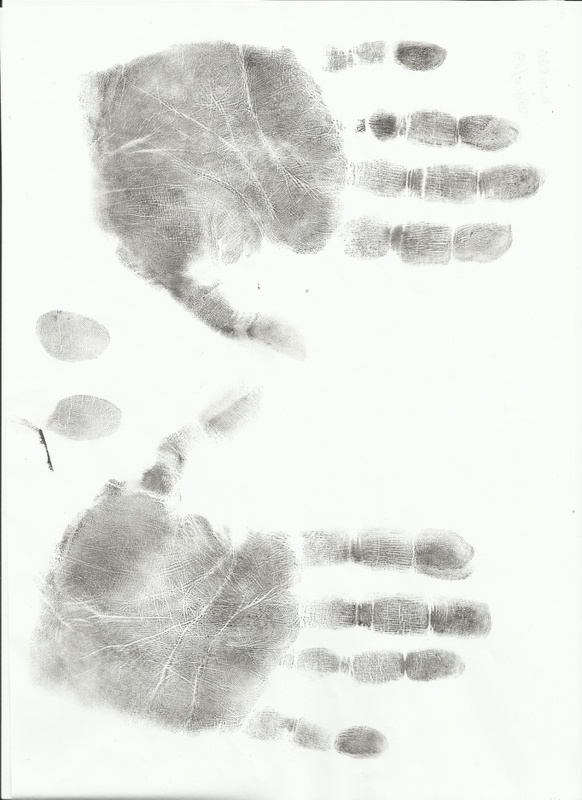 Here is a photo of my fingerprints. I do not see them clear so I am not sure if you will be able to see. Otherwise will take some new fingerprints, but even though I Have plenty they do not seem to be clear. I do not know why, even if I rotate them it come upside down. sorry I can't see the skin ridges to check what the fingerprints are. 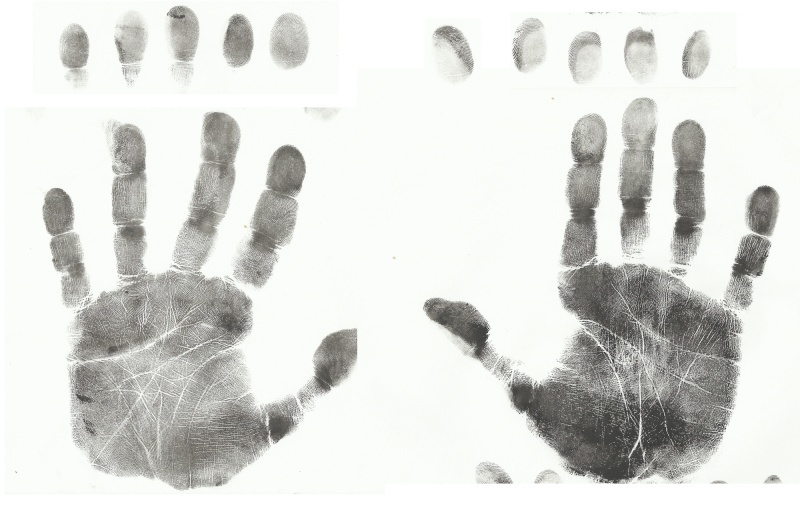 I took new fingerprints, but when I scan them ,even if i scan them at the highest resolution are not clear. 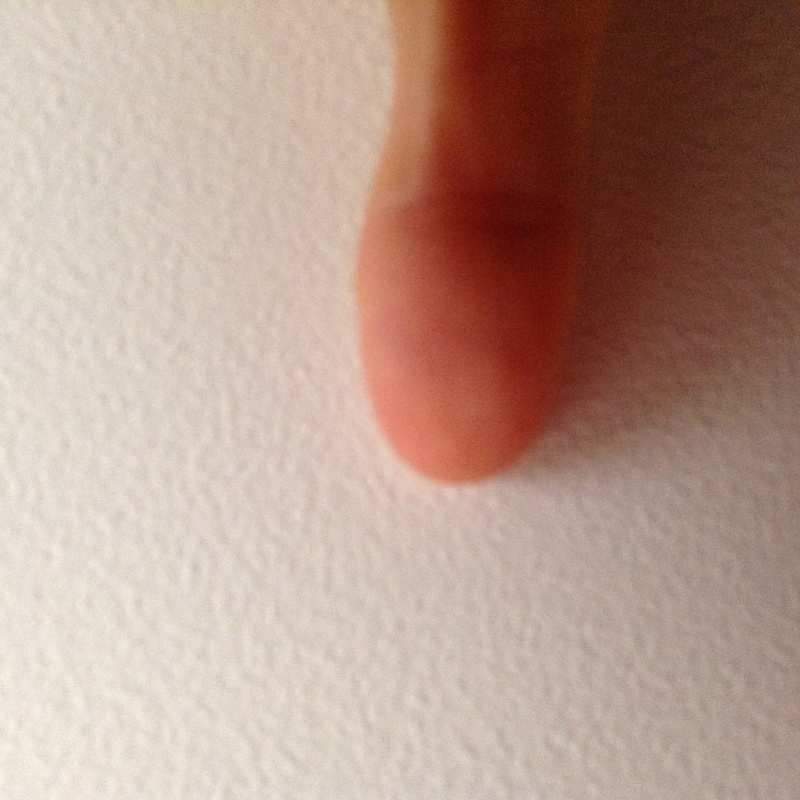 From the fingerprints, it looks like I have a whorl on the right ring finger and a loop on the right little finger. Plus the two whorls on moon mount, one in each hand. What would the difference be with the peacock on fingerprint? Why are my ridges so clear, difficult to see. even on my finger.? What sort of scanner do you use to scan them, and resolution? In this photo I can see that you indeed have an 'ulnar loop' on your right pinky finger, however we can not see the pattern on the other fingers. 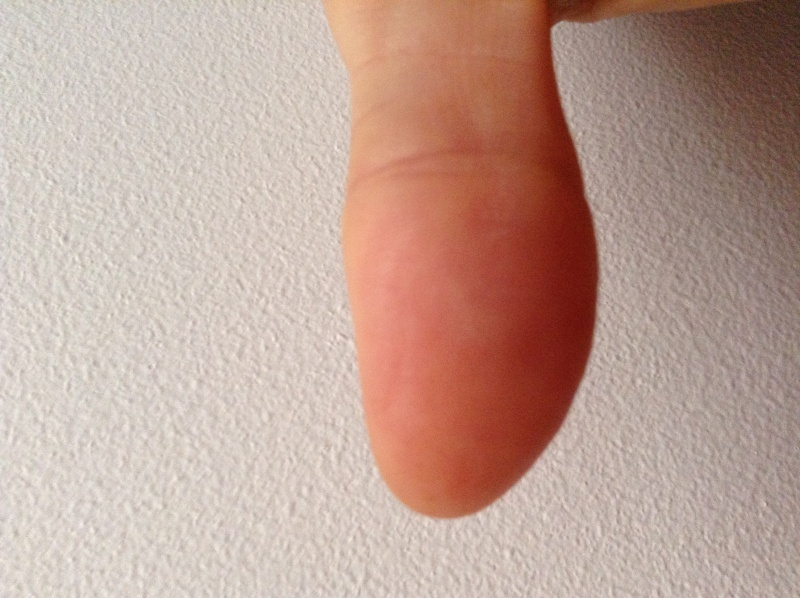 Maybe with the right light & the right distance you'll be able to present a photo were we can see all fingerprints in one photo, but I think your photos so far indicate that you probably need to change the resolution settings in order to make a high quality photo of just one single fingerprint. In life purpose analysis is the best to actually see the prints. 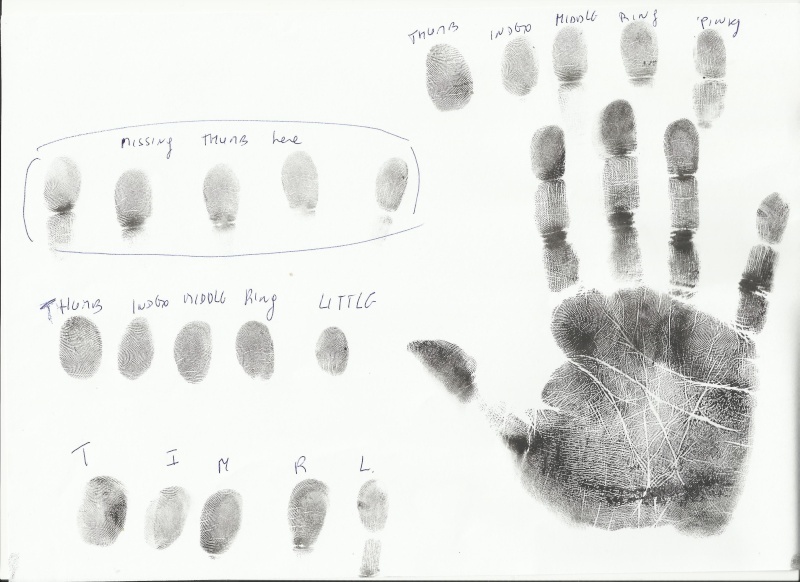 Richard's finger prints classifications are little bit tricky and not necessary aligned with forensic finger print classifications. I know that you may not necessary can have ink by your side to take an ink prints, however there are other methods. For example: lipstick can be very useful for finger prints. Another way is to use pencil and clear scotch tape. Once we will see your actual prints we will be able to accurately identify your Life Purpose, Life Lesson and Life School. THank you. I do have ink. I need to do another print as the ones I got are old. But also when I scan them are not very clear. I will do a print again today or tomorrow, and see what happens. 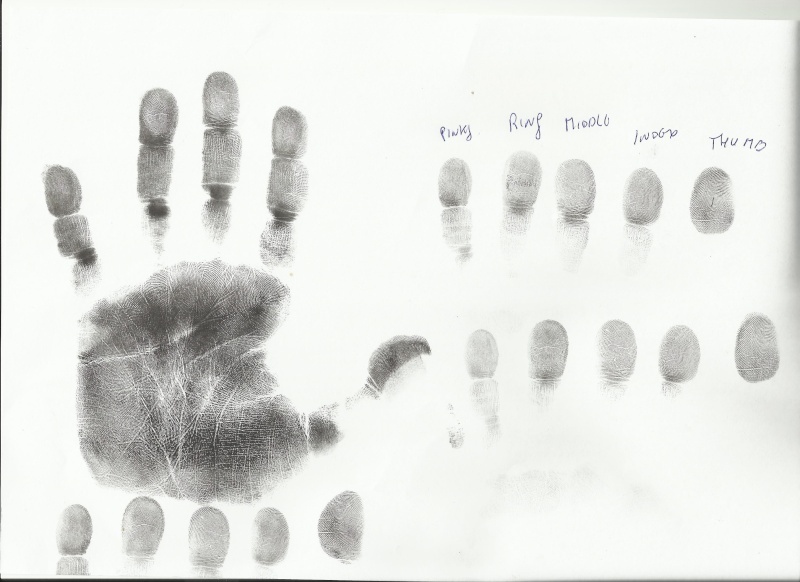 I have done new hand prints. I hope they are more clear. I am not sure if the two whorls in my moon mount are clear. Thank you. I still cannot see fingerprints clearly. Is there a way here to enlarge the images? Can you see the prints? Thanks, You could save the image in your computer and enlarge it. Woudl that work? I did, but it was blurry. I could not see your fingerprint rigits. Oh, then I do not know. I may try again with another prints. handslearner wrote: Oh, then I do not know. I am confident that there is no need for you to make new prints or photos - I think those materials are actually fine. From the handprint picture I can see that your problem is that you didn't manage to upload those materials as a high resolution picture. Important: you should make sure that the SIZE of the picture does not get reduced, because this the problem is basically that the scanned pictures are far too small. I hope is okay now. I can see them just fine! Click on the picture to open it in photobucket, click magnifying glass icon lower right to enlarge, then click it again and a much bigger version opens where the fingerprints are visible. Left hand - I agree wuth you about all. Lynn wrote: I can see them just fine! Click on the picture to open it in photobucket, click magnifying glass icon lower right to enlarge, then click it again and a much bigger version opens where the fingerprints are visible. Okay, I am back, sorry I had some family problems. I did another print and I can now see the fingerprints when I zoom the photo. Sorry but did one hand on a different page, as I am not good at doing the prints yet. From what I see , it is that I have 3 whorls on my fingers , one in left ring finger, and one in right ring finger and right index finger, plus the two whorls in my moon mount. I checked RIchard Unger book, but would like to hear from you.